Strands of durable woven rattan create an intricate lattice pattern throughout. 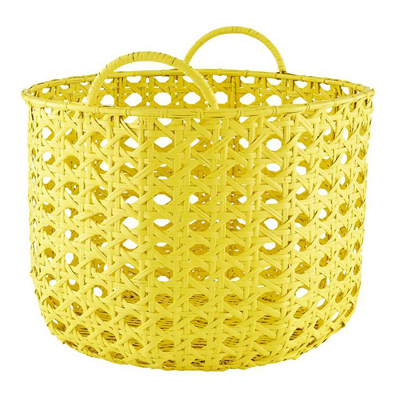 Each Lattice Floor Bin is handmade by skilled weavers, making every basket one of a kind. $59. Buy here.